Does Your Garbage Disposal Keep Getting Clogged? Garbage disposals can be a wonderful asset or a horrible nightmare if not properly used. When using a garbage disposal make sure you run water the entire time and only put little bit down at a time. 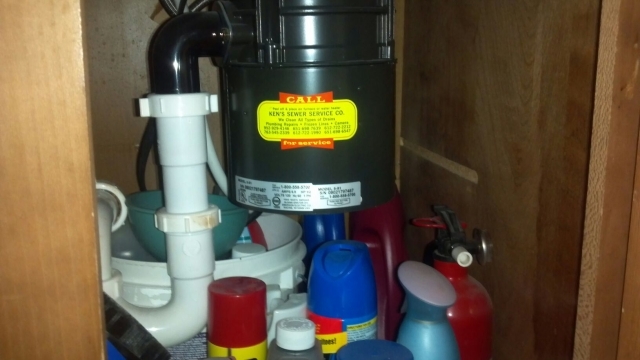 If you overload the disposal be ready and prepared to call a plumber. There are many turns the kitchen sink drain line takes through it’s travel to the main sewer line. Cleaning out kitchen sink lines yearly is important to keep the pipe wide opens and slick. All sorts of debris grow inside drains lines even if your not using them. Make sure to call your local plumber and have them check out your drain lines before any issue arises. Ken’s Sewer Service handles all drain clogs and preforms maintenance on lines as well.